Claiming your children as dependents is never automatic; there are a number of requirements you must satisfy before you can file your taxes with dependent exemptions. However, child support payments you make or receive — regardless of whether they are past due or not — aren’t factors to consider when evaluating whether you can claim your children as dependents. When parents are separated or divorced, only one parent can claim the dependent exemption for their children. The IRS refers to any child for whom you are eligible to claim a dependent exemption as a “qualifying child.” One of the requirements for claiming a child is that the child may not provide more than half his own financial support during the year. As a result, it makes no difference which parent provides the support. For example, if a child works part-time and contributes $10,000 to his own support, while an additional $10,000 is supposed to come from child support payments of the noncustodial parent — the support requirement is still met and you may be eligible to claim your children’s dependent exemptions despite the fact that you don’t contribute to their support. And if the children’s other parent catches up on past-due child support payments, it doesn’t make him eligible to claim the exemptions -- or you ineligible to claim them. Although child support payments you or the children’s other parent have an obligation to make are irrelevant for assessing whether you can claim dependency exemptions — what is relevant is that the children live with you for more than half the tax year. If you have joint custody of your children with their other parent, to satisfy the residency requirement, your children must spend more nights at your home than their other parent’s home. Even if your children spend one night more with you during the year, you will satisfy the residency requirement. Before you file your taxes, you must also ensure that your children satisfy the age requirement of a qualifying child. Qualifying children must always be under the age of 19 for the entire tax year, or full-time students under the age of 24. One thing to keep in mind is that if any of your children are married and file a joint return with their spouses for any reason other than to receive a refund of all tax payments, they cannot be your dependents. When it comes time to file your tax return and you plan to claim dependent exemptions for your children, there are some practical considerations of which you must be aware. First, you must file your tax return on Form 1040 or 1040A to report dependents. If you choose to file on the simpler 1040EZ, you cannot claim any dependents on the form. Once you choose the form, reporting your children in the exemptions section takes no time at all. You only need to report each child’s name, Social Security number and note whether each child is your son or daughter. This allows you to take one exemption for each child. Exemptions for your children are fixed in amount and work just like deductions in that they reduce your taxable income, and ultimately reduce the amount of income tax you owe. If you're contemplating bankruptcy, you probably have a thousand thoughts running through your mind. 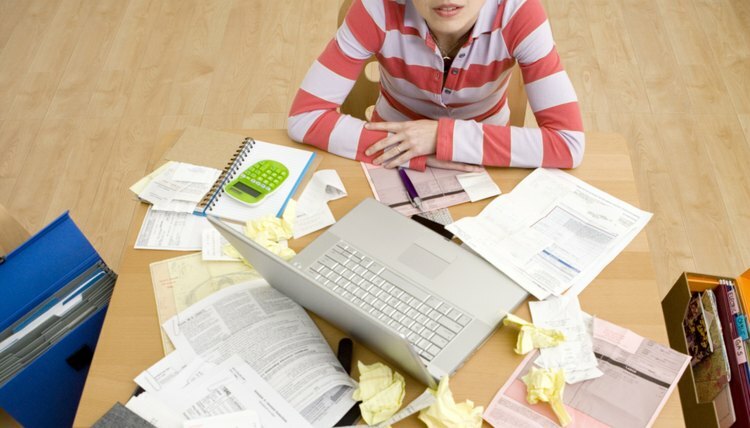 At the top of that list are probably concerns about your taxes and what happens once you file. If you are expecting a tax refund, you may be especially worried. Before you decide whether or not bankruptcy is for you, it may help to understand how your filing could affect your refund and what steps you can take to protect it in your effort to create a fresh financial start.